The 2018 Randwick Guineas Day results will be updated all afternoon at horseracing.com.au and we are set for a pair of outstanding Group 1 races at Royal Randwick this afternoon. The Randwick Guineas and Canterbury Stakes are the two Group 1 events at Royal Randwick this afternoon and both races are very interesting betting races. 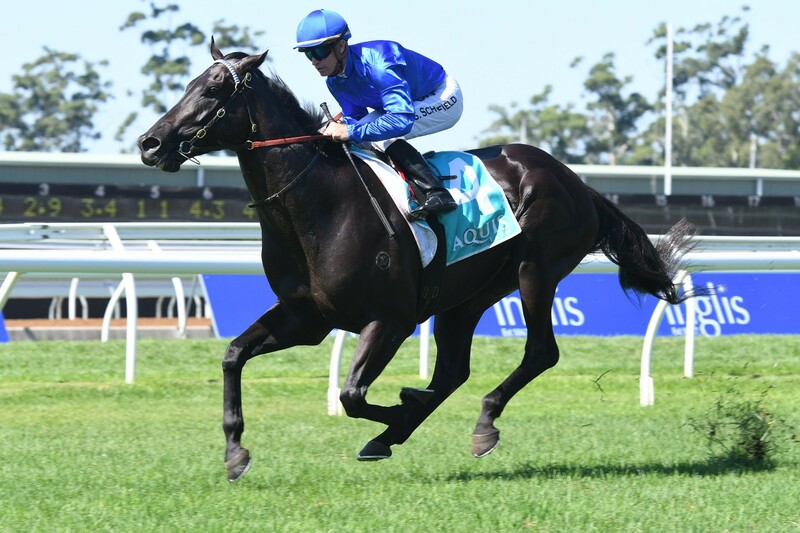 James Cummings-trained Kementari ($2.50) is a clear favourite in the 2018 Royal Randwick Guineas betting market with Ladbrokes from D’argento ($5.50), Magic Millions Guineas winner Pierata ($6.50), Australian Guineas runner-up Peaceful State ($6.50) and Golden Rose-winner Trapeze Artist ($9). Karavali scored a narrow win in a thrilling edition in the 2018 Aspiration Quality at Royal Randwick this afternoon. The Pinnacle got her nose in front of Pioneering in the final stages of the race, but she was resigned to second once again when Karavali charged late. Trainer Kris Lees confirmed that Karavali will now head to the Epona Stakes. I Am Excited made it two wins on the trot with a fast-finishing win in the 2018 Fireball Stakes at Royal Randwick this afternoon. Houtzen took up the running, but she was one of the first horses beaten and it was Acqume that hit the front at the 200 metre. Acqume gave her a challenge, but I Am Excited always looked like the winner and she finished over the top of her rival to record a classy win. Estijaab will head to the 2018 Golden Slipper as one of the leading contenders following her win in the Reisling Stakes at Royal Randwick this afternoon. Brenton Avdulla took Estijaab straight to the front and she was able to control the race – unlike her last start defeat in the Silver Slipper Stakes. The likes of Pure Elation and Sister Sledge loomed late and she looked set to be beaten, but she was able to tough it out and return to winning form. Aylmerton scored an upset victory in a dramatic edition of the Todman Stakes at Royal Randwick this afternoon. This was a big step-up in class for Aylmerton following his debut win at Canterbury and he held-off a fighting Ef Troop in the concluding stages. Performer started the race as a clear favourite and looked to be hitting the line strongly, but clearly resented the whip and through Hugh Bowman from him at the 150 metre mark. Redzel ran down Super Too to record an impressive win in the 2018 Challenge Stakes at Royal Randwick this afternoon. Blake Shinn took up the running on Super Too in the early stages of the race and ensured it was run at a strong tempo, while Kerrin McEvoy was happy to take a sit on Redzel. Super Too was in front for a long way, but Redzel was eventually able to bridge the gap and run away from his rival late. Happy Clapper returned to the races with an excellent performance in the 2018 Canterbury Stakes at Royal Randwick this afternoon. Global Glamour took up the running in the early stages and gave a kick when she was asked for an extra effort at the top of the straight. Happy Clapper was held up for running at one point, but he got out at the 250 metre mark and finished over the top of his rival to claim a second Group 1 win. Kementari stamped himself as one of the best three-year-olds in the country with an outstanding win in the 2018 Royal Randwick Guineas. Glyn Schofield was very patient on Kementari in the Randwick Guineas and the Lonhro colt cruised into the race at the top of the straight. Schofield finally asked him for an extra effort at the 200 metre mark and he quickly put away his rivals in most impressive fashion. Sugar Bella maintained her stellar record with an outstanding win in the 2018 Wenona Girl Quality at Royal Randwick this afternoon. Sugar Bella was at the tail of the field in the early stages of the race and she was still last at the 300 metre mark. Miss Que was flying down the outside and looked as though she would be tough to run down, but Sugar Bella was explosive in the final 100 metres and she recorded the biggest win of her career to date. Emperor’s Way held-off a fast-finishing Alward to win the 2018 Randwick City Stakes at Royal Randwick this afternoon. There was plenty of money for Alward ahead of the Randwick City Stakes and he had every possible chance, but was unable to finish over the top of his rival. Emperor’s Way has now recorded four wins on the trot and has earnt a stint in the spelling paddock.